When fly fishing for trout, a fisherman needs to present the fly in a natural manner and in a place where trout will reach it and eat it. To catch the best trout, then you will need the best flies. It can be a daunting task to decide which one suits your needs but don’t worry, we’ve got you covered; the sizes and designs should match with the season and whether you are fly fishing on a lake or stream. This fishing fly is highly regarded as the most important fly every angler should have in the tackle box. It is special because it is quite versatile, coming with a design that is similar to different insect types. Parachute Adams features different sizes and variations. This dry fly can easily catch trout during virtually any time of the year, from the surface of rivers and streams. 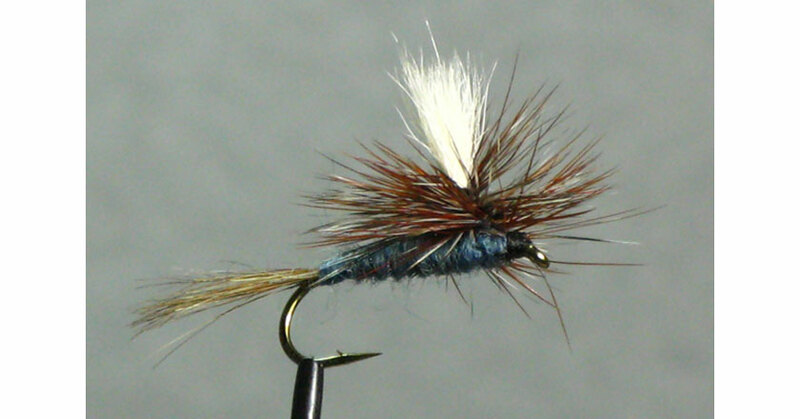 The Woolly Bugger is only second to the Parachute Adams, although some anglers might disagree. This fly offers versatility below the water surface; it comes with a variety of colors and beads. It is designed to resemble a lot of underwater prey like nymphs and leeches. 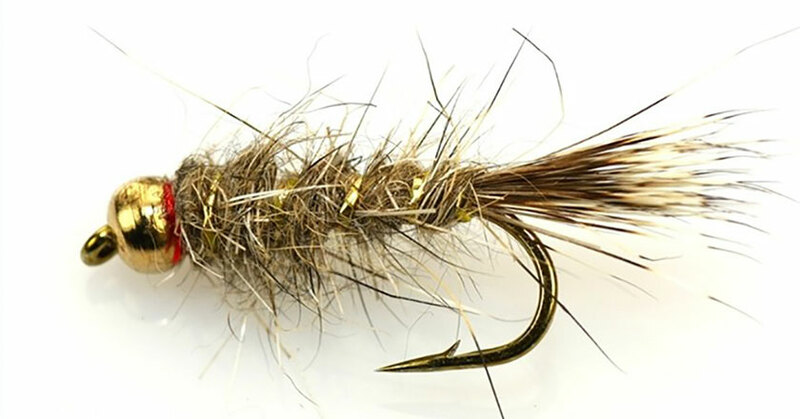 This is among the most popular flies since it has a realistic and distinctive look that usually attracts trout each time. 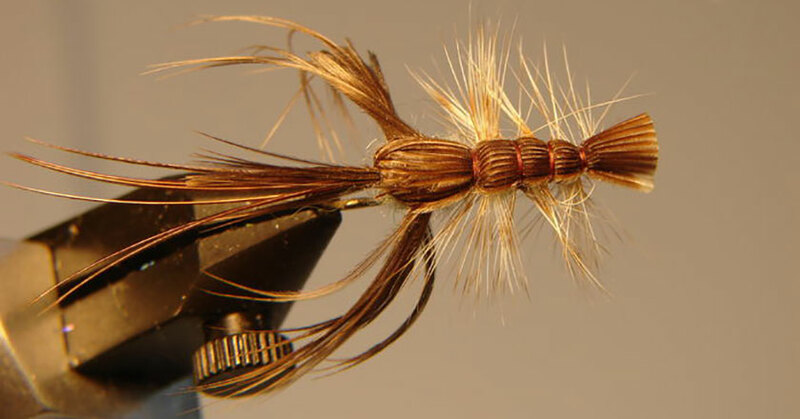 The Elk Hair Caddis is a general purpose dry fly which is used in any environment to catch any type of fish. 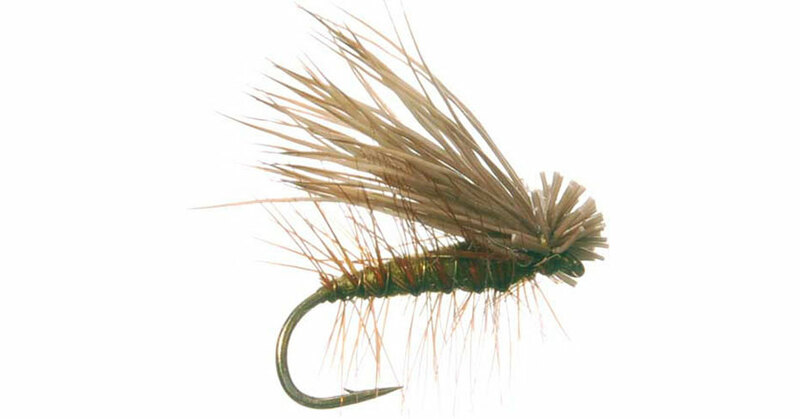 However, this can be regarded as the best dry fly to catch trout when fly fishing. The Bunny Leech is used to catch trout below the surface. It comes with a marabou tail and a body made of chenille. However, rabbit fur can also be used because it offers visual flare and a lot of movement inside the water, hence attracting fish with ease. The Gold-Ribbed Hare’s Ear stands out because of its flashy golden sheen. This fly offers visual flare and it comes in different sizes. 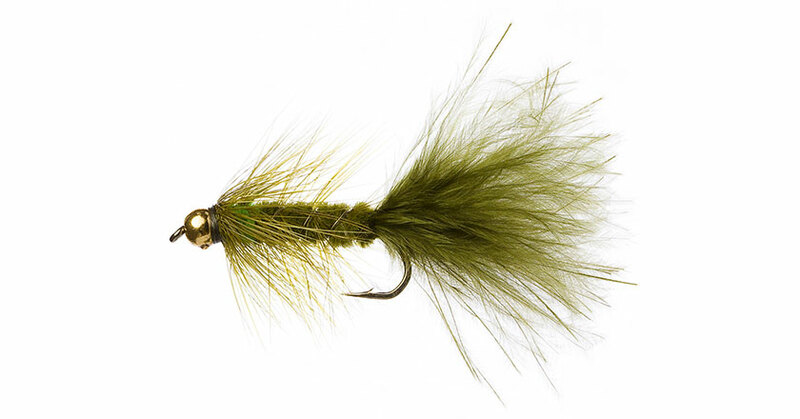 This classic and versatile fly is great for catching trout using different modifications. It can be fished as a caddis fly, a nymph, a stonefly, a scud or even a mayfly. 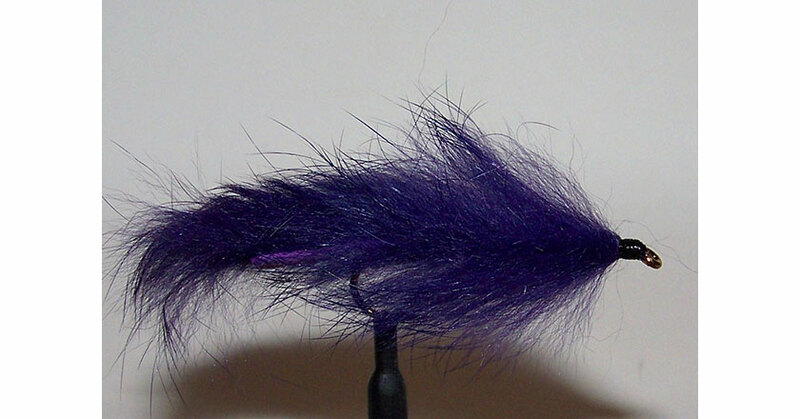 This wet fly can come in handy when the other flies are simply not working. Your tackle box should have this fly since crayfish can be found everywhere. It resembles different bait species and although it is not as flashy as the Gold-Ribbed Hare’s Ear, it comes with fly functions similar to it. You can bet that you will go home with fish with this “tried and tested”, reliable and effective means of catching fish. Many fly fishermen prefer using dry fishing to catch trout. It is popular because the angler can monitor the fishing process; the fish can be seen coming up to the surface to eat the fly. Dry fly fishing beats subsurface fishing in which the fisherman cannot see the movement of the fly. The fisherman has to guess or try to feel when the fish strikes, ideally, a strike indicator should be used for this situation. To catch trout, you have to make a good dry fly presentation which comes with three aspects that include: the right positioning, casting, mending and line control. The fisherman must maneuver the boat, wade or walk to the most favorable position in order to reach a lot of fish. The ideal position should be close enough to the fish but also far enough from detection; the spot you choose should also help you defeat drag in a natural manner. When choosing the best position, the fisherman is normally limited by factors like shrubs along the bank, speed of the water, the depth of water and the riverbank itself. Dead drifting dry flies is normally effective and easy when an angler uses the upstream presentation. This works well since the angler is downstream and in the trout’s “blind spot” (behind). The angler can come up to 30 feet near the fish. The fisherman only has to make a straight upstream cast right above the fish since the current usually comes directly towards him. It is advantageous because there is very little mending or fancy casting involved. The tippet should land just over the fish, the fly line and the leader should end up just behind the fish and the fly should land in front of the fish in its feeding path. A good angler should avoid casting too far; the fish is normally watching for food items (or predators) and hence if the fly splashes down in front or on top of them, it is highly likely to spook the fish and hence you lose a great chance. This is called “lining” the fish. Mending is a manipulation/ line control method that happens when the fly is moving towards the target; this is after it is on the water. A fly fisherman should make an upstream mend if the current is dragging the belly of the fly line, this serves as a great counter. An upstream mend is like reach casting, only that it is done when the line is on the water, it involves: lifting the rod tip high and then with a flick of the wrist, placing a bow of line upstream. Mending helps you defeat drag by controlling the line on the water without moving the fly. While mending, you should always monitor the fly in order to ensure that it moves naturally. Also, the mending should not be overdone. My name is John a commercial fishing flies tier based in Kenya.Am interested in supplying flies to you,any room sir?